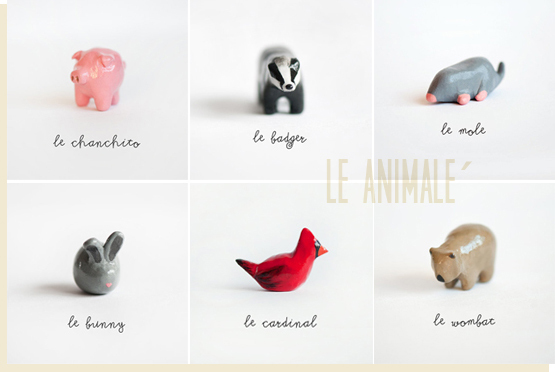 I just want to pick up a couple of these adorable tiny handmade animal totems from le animale´ and put them on my bedside table so when I wake up and see them, I can start the day with a huge smile on my face. These clay animals are precious, right? Laura, a featured seller on Etsy, is the woman behind the totems. Check out her blog to see how she makes them here.